Just connect your Android device* via USB and the automatic Bluetooth pairing function will work to complete the pairing. No complicated manual procedure to worry about. 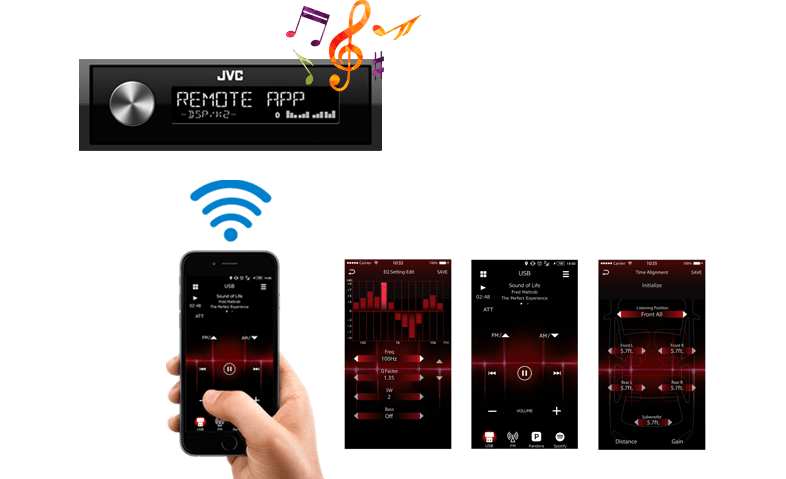 *JVC Music Play application is required. 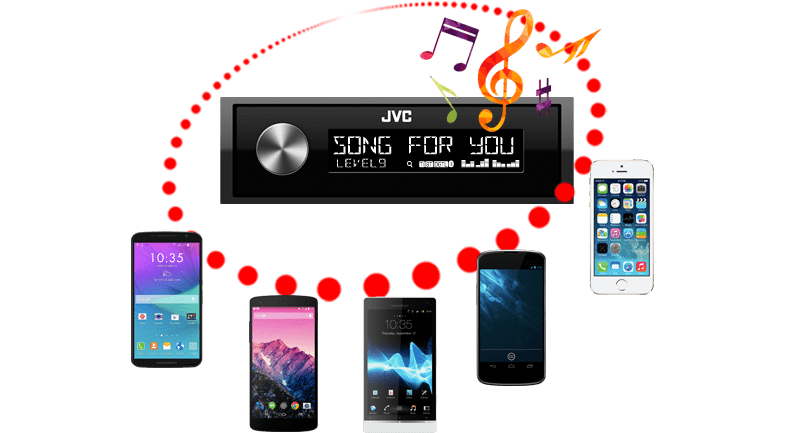 Listen to Pandora and iHeartRadio from your smartphone with smooth control on the receiver via Bluetooth connection for Android devices.